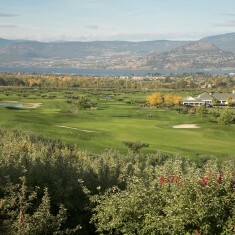 Harvest Golf Club | Harvest Golf Club | Ecosign Mountain Resort Planners Ltd. Client Nippon Cable Co. Ltd. 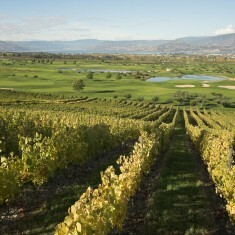 The Harvest Golf Club is situated on 287 acres in “downtown” East Kelowna. The Golf Course is integrated into a working orchard featuring which surrounds the course and separates fairways. 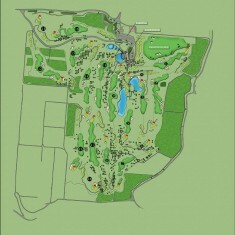 Ecosign prepared the overall master plan including clubhouse, maintenance facilities, entry road and parking lot siting. Ecosign also completed all landscaping and water features, as well as the general routing of all golf holes. 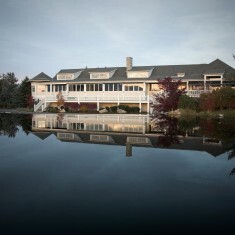 The detailed golf course was designed by Graham Cooke. At 7,109 yards, The Harvest is a championship length with wide, impeccably manicured bent-grass fairways which contribute to the unique character of this special course. The Harvest features large undulating greens, testing elevation changes and strategically placed bunkers and water hazards. With multiple tee areas designed to challenge the potential of every golfer, the Harvest is truly one of nature’s most picturesque facilities.